Mal-shi, also known as Malshi, Malt-tzu, Maltzu, and Malti-zu, are a type of designer dog resulting from a cross between a purebred Maltese and a purebred Shih Tzu. Most Mal-shis are F1 crosses, as there has been little interest in developing the dog as a breed. They are not recognized by any major kennel club. Mal-Shi’s are known to be the most popular designer dog. They are best for families with children, a couple, or even seniors. They can live in any type of home, whether an apartment or a house with or without a yard. They are known to be a very loving, affectionate, and joy to be around type of dog. 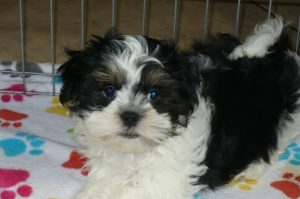 Because of their mixed breed, they get the personality from the Maltese and Shih Tzu. They are quite fast learners too, which makes it easier to teach them many tricks.